Bottles, Beans, & Brew Gear, it's all right here. We brew and bottle fresh cold brew each week using our own system that we invented! (#innovation!) More information on how we brew it here, click below for more details about our bottled coffee. 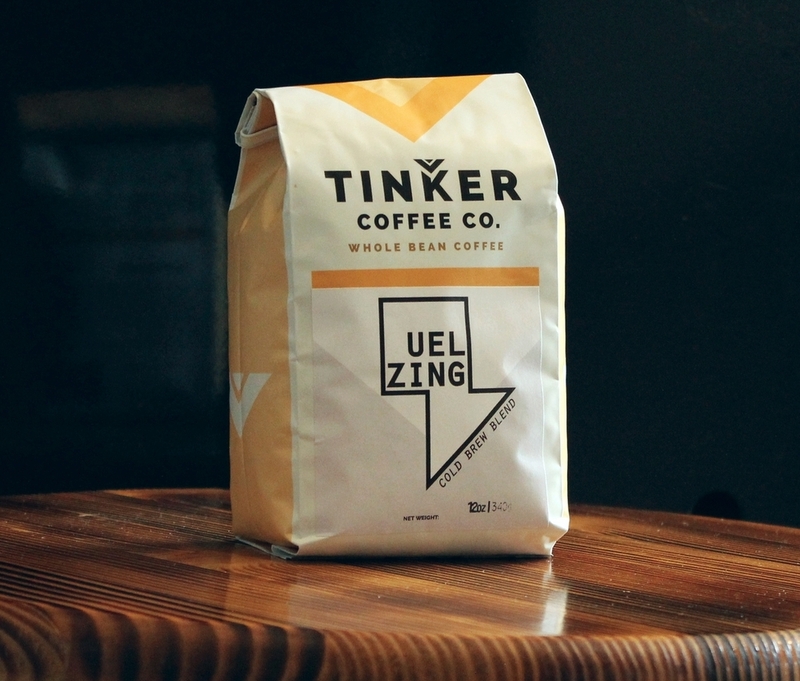 Our signature ZINGblend is roasted by Tinker Coffee Co. in Indianapolis and consists of 45% chocolatey Nicaraguan coffee, 35% berry-sweet Ethiopian, and 20% smoky Sumatran. We sell our blend on our store and Etsy page, but for a more advanced offering of coffees, check out Tinker's Store below! Our DIY cold brew kit: UEL BREW 1000 is here to help you brew great tasting cold brew at home, or anywhere! Easy to clean, easy to use, Uel Brew 1000 is the pinnacle of cold brewing at home. Use for coffee, teas, or whatever you feel like cold brewin'! Already own a UEL BREW 1000? Resources available here.